Over time, search engine algorithms change, and with it SEO content strategy must also follow this shift. While optimization of any website is a vital piece of successful online marketing, trends have shifted toward a heightened focus on not only relevant content, but reoccurring relevant content. It is no longer enough to simply have a website to get noticed in search queries, but something to bring not only the search engine back to continually index your website, but bring back researching potential customers as well. Fresh content not only lets search engines know that your website is lively, current, and authoritative in your market, but helps to better engage your customers, either bringing new buyers in, or retaining returning buyers re-entering the car buying market. 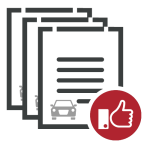 The solution to this interplay between giving your sites authoritative links, giving your customers an easy place to go for specialized information, and keeping up with current content trends is to utilize micro-content websites for your dealership. Micro-websites have historically been a quick and easy way to present relevant and specialized information to customers while still having it branded and customized to your dealership while still providing easy access back to your dealership, much like a specialized landing page. But with micro-content websites, we add reoccurring content to the mix, giving this specialized landing website, with optimization and links back to your main dealer site, fresh and engaging content that gives this separate campaign web authority in its own right. Reoccuring content keeps your specialized custom website relevant and authoritative, and in turn, strengthens the authority of its directing back to your main dealer website, which affects your dealerships overall web authority. 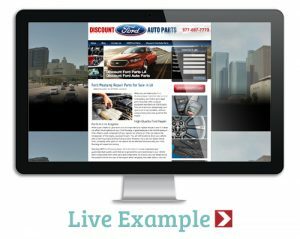 Content designed for micro-content/custom websites works much the same way Content Motive’s standard automotive SEO pages work: they integrate necessary pieces of SEO optimization for the custom website and your main website, while also still being individually written and specific to your dealership’s strategy, campaigns, and needs. Contact us now for SEO content answers and a quote for what benefits Content Motive services can bring to your company.